We invite candidates for following positions in *Fill and Finish Injectable Production and Packing* at our Zydus Biologics based at Ahmedabad location. B.Pharma/ M. Pharm with 2-4 Years of experience in planning and execution of Injectable pkg lines with high speed automated blister and cartonator packing with 21CFR compliance. Must have experience of documentations packing related activities including batch reconciliation and associated records pertaining to batch. To ensure that products handling and storage as per BPR and SOP AS PER QUALITY NORMS. Material indenting and its proper follow-up with inventory control department. B.Pharma/ M. Pharm with 2-4 Years of experience in Visual Inspection of Empty and Filled containers. Yield Reconciliation after Visual Inspection of Filled containers. Handling and managing of all Visual Inspection Area and Vials Coding and Collection Area activities. Handling and managing of all Visual Inspectors. To ensure and maintain GMP in Shop Floor & Compliance Activities. · Track and Trace/ Online barcoding / ACG barcoding. · Automated Secondary packing machine/ Optima or Groninger packing machine. I.T.I / Diploma with 2-5 years of hands on experience in handling Injectable / Liquid Vial- filling line, Washing and Depyrogenation of Vials, Washing machine and Tunnel operation, Sealing machine and Area Monitoring and maintaining the sterile environmental parameters of manufacturing and filling area. Must have experience of CIP and SIP of manufacturing vessels. 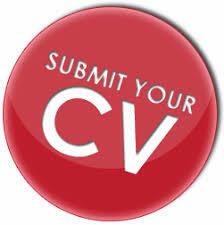 For all the positions, candidate having exposure to regulatory requirement of documentation and cGMP/GLP is essential. Those with experience in SAP environment shall be preferred. Interested candidates may “Walk-in” for an interview along-with their updated CVs and salary related documents as per below schedule.